Media and telecommunications laws govern print, radio, television, Internet, video and DVD, video games, cable telephones, mobile telephones and fax. Lawsuits in this category can be filed against telecommunications or media companies who overcharge you or charge for undelivered services. Lawsuits also involve violations of privacy, false advertising, unfair business practices, unauthorized use of media and more. Telecommunications involves the use of technology to communicate. Telecom service providers include Internet, cell phone and telephone providers. 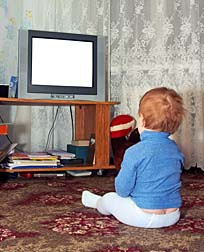 Television and radio are also considered forms of telecommunication. 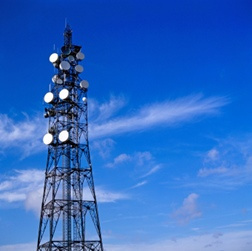 Telecommunications law is a wide area of law that covers regulation of television and radio broadcasting, cable systems and transmissions, radio frequencies, wireless networks, and multimedia. The Federal Communications Commission (FCC) regulates and enforces telecommunications law. The Telecommunications Act of 1996 opened up the telecommunications market to allow virtually any communications business to compete in any market against any other telecommunications business. Essentially, any company was allowed to enter the communications business. The Act involved the first major revisions to the Communications Act of 1934, which established the FCC. Media law is more specific than telecommunications law because it deals with the media—radio, television, satellite and cable broadcasting. The FCC regulates broadcasting and determines what frequencies will be used for what purposes by which users. The Telephone Consumer Protection Act (TCPA), which came into law in 1991, was designed to protect consumers from telemarketers and solicitors. Since the law was enacted, it has been updated to include legal violations in new formats, including text messages. The TCPA sets out the conditions under which a company can contact a customer, and lays out when customers can file claims against companies for unlawfully contacting them. In 2016, Portfolio Recovery Associates LLC agreed to pay $18 million to resolve complaints about violations of the TCPA. Among the alleged violations were complaints that Portfolio Recovery Associates used an automated telephone dialing system to contact consumers' cell phones. The class includes approximately 7.4 million potential class members and includes all US residents who received one or more telephone call from Portfolio Recovery Associates using an autodialer. The multidistrict litigation is In re: Portfolio Recovery Associates, LLC, Telephone Consumer Protection Act Litigation, Case No. 3:11-md-02295, US District Court, Southern District of California. Contract lawsuits cover a wide range of issues that consumers may have with telecommunications or media companies. They include early termination fees, contract violations, hidden fees, rate plan changes and automatic contract renewals. One lawsuit was filed by Washington Attorney General Rob McKenna against DIRECTV, alleging consumers were misled into signing up for DIRECTV services without realizing they were signing up for a two-year contract. Furthermore, according to the lawsuit, consumers were not aware that there would be an increase in the monthly service charge after the first year of the contract and did not know they were be charged up to $480 if they canceled the contract before the two years were over. The Attorney General also alleged that customers were charged $10 to cancel a $5.99 monthly "Protection Plan" fee, even if they were not aware they were enrolled in the "Protection Plan" program, and DIRECTV extended the length of customer contracts when customers required equipment repairs, upgrade equipment or when they moved. DIRECTV also faces a class action lawsuit filed by consumers who allege they were not warned about early termination fees. Other cable, satellite and cell phone providers have been accused of having similar unfair practices, including excessive early termination fees, hidden fees and automatic contract extensions when customers made any changes to their contracts. Lawsuits have also been filed alleging that some telecommunications products, including cell phones and the Kindle reader, are defective. One such lawsuit was filed in July, 2009, alleging that the Kindle 2 reader developed cracks within months of purchase and that the reader's screen froze. Although Amazon said it would repair the screen freeze, the company allegedly would not replace the cracks in the reader. However, after the lawsuit was filed, Amazon announced it would replace Kindles that were cracked by the Amazon cover. Issues that are at the forefront of media and telecommunications law include the convergence of broadcasting media—fewer companies own a larger stake in broadcasting due to mergers and acquisitions—and the emergence of VoIP (Voice over Internet Protocol) and new forms of telecommunications. Further issues in telecommunications law involve the use of telemarketers to connect companies with clients. The Do-Not-Call Implementation Act was put in place in 2003 by the Federal Trade Commission (FTC) to limit telemarketing calls. U.S. residents can register for free, and telemarketers must comply with this nationwide request and stop calling within 31 days. With the deregulation of the communications industry came issues regarding licensing, interconnection and anti-competitive practices. Privacy Violation Lawsuit alleging actions or negligence have compromised people's privacy. Citibank Borrowers Beware Washington, DC Here’s a scary question: If a Citibank borrower:signs a loan agreement that includes an arbitration clause;falls behind on payments; andis harassed with debt collection robocalls; can he or she still join a class action debt collector harassment lawsuit based not on the debt, but on phone calsl that are illegal under the Telephone Consumer Protection Act (TCPA)? Borrowers beware if the answer is “no.”..